Originally posted at Climate Progress. View the original post here. The British government has approved what could become the world’s largest offshore wind farm, a 1,200-megawatt endeavor that is slated to begin producing energy by 2019. On Tuesday, the U.K.’s Department for Energy & Climate Change, a government body that’sresponsible for getting the U.K. to meet a goal of getting at least 15 percent of its energy from renewable sources by 2020, gave the OK to ScottishPower Renewables and Swedish utility Vattenfall to build their East Anglia One offshore wind farm. Right now, the plan is to build up to 240 offshore wind turbines which together will generate 1,200 megawatts of power — making this project larger than the 630 megawatt London Array offshore wind farm, currently the largest offshore farm in the world. The companies estimate that the farm will have the potential to power 820,000 households. According to the DECC, the wind farm, which will be located about 26 miles from England’s Suffolk Coast, is projected to create nearly 2,900 jobs and provide a $873 million boost to the U.K. economy. Maria McCaffery, chief executive at RenewableUK, told BusinessGreen that the project will be a “confidence boost” for U.K. offshore wind. The EU has long been a leader in offshore wind development, and in 2013, most of the EU’s new offshore wind was installed in the U.K. The U.S., on the other hand, doesn’t have any offshore wind farms so far, but multiple projects have been proposed in recent years that could become the country’s first. In February, Cape Cod’s Cape Wind project was approved for a $600 million loan, funding that the project’s developers say could allow the wind farm to be up and running in 2016. 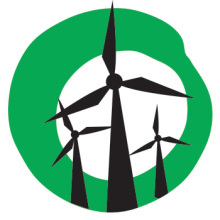 Cape Wind has been trying to get off the ground for more than a decade but has faced multiple lawsuits and setbacks, including major opposition from fossil fuel billionaire Bill Koch, who claims that the turbines will create “visual pollution” in Nantucket Sound, where he owns a significant amount of property. Also on Tuesday, the U.S. Department of Interior opened up a 742,000-acre chunk of ocean about 12 miles off the coast of Massachusetts to offshore wind leases, area that will nearly double the federal land available for commercial offshore wind projects. Secretary of Interior Sally Jewell said the Cape Wind’s setbacks over the last decade factored in to the Interior Department’s decision over where the leases would be located. Another good thing about offshore wind farms, apart from the electricity generated, the jobs and industry development, is the new fish habitat created by marine installations. There was some research done on a link between Norway and Sweden (as I recall) which showed an increase in the number of fish species after the bridges and island structures had been created. As I said previously – try proposing a wind farm for Port Phillip Bay and see how quickly people (including the ALP) abandon their support for wind energy. You are a joke Blair.